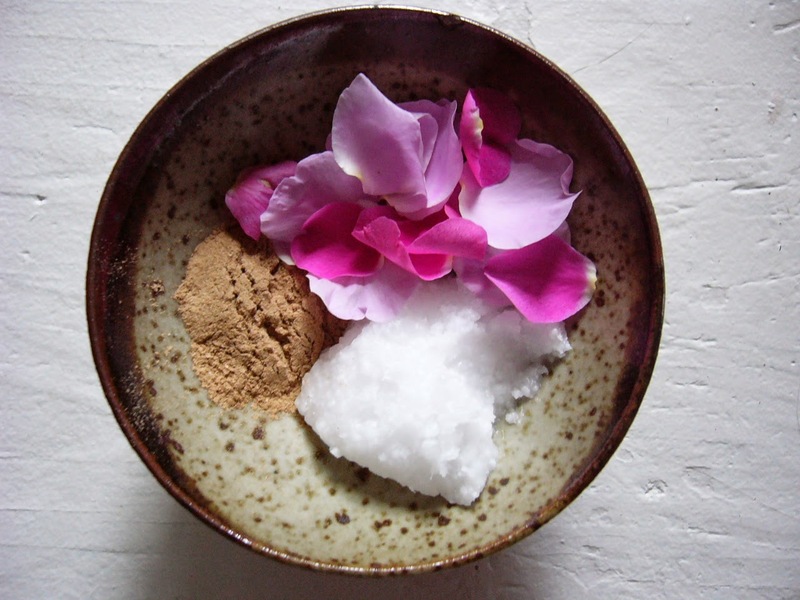 Here's a variation of the Ayurvedic Sandalwood and Marigold Scrub I shared with you last summer. - Grind together with a mortar and pestle. - Scrub a small amount gently onto your face. - Rinse or wipe off with a warm, damp, cotton or silk cloth. This recipe makes enough for 4 - 6 facial scrubs or masks, enough to share with a friend!